The programme includes 'Mars' and 'Venus' from Holst's 'Planet Suite', 'Dartmoor 1912' from John William's score for the film 'War Horse', 'In Wartime' by David Del Tredici' and 'Benedictus' from the 'Armed Man' by Karl Jenkins. Tickets: £10 in advance, £12 on the door, £2,18s and under. Available from Band Members or 'Picture It' in Thatcham High Street. Lyn Davies, for granting us permission to use the image and share the story. In the summer of 1968, I was thirteen and my family went on holiday to Jersey. We stayed with my grandparents in St Helier. All the adults warned me not to ask Grandad about the Great War. They said that he wouldn’t tell me anything and would probably go into one of his ‘moods’. The first time we were alone together, I asked him and, after a long silence, he told me. For about an hour, I listened to Grandad’s memories of The Somme. The steady tick of a big, dark grandfather clock marked frequent pauses, when he stopped to gather his thoughts. He said his pals became expert at judging how far soldiers had been from the explosion that killed them. The outer ring lay as if peacefully sleeping. As you came closer to the epicentre, the butchery became increasingly horrific. shake out the feet of the previous owner. 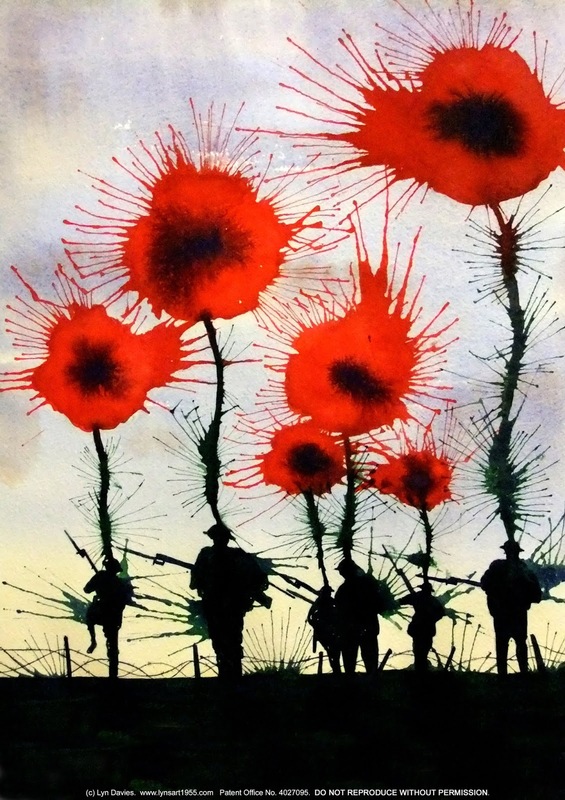 Some of his mates said poppies would grow where the mist settled. I thought I had forgotten about Grandad. I thought I had forgotten that summer afternoon. Forty five years later, I painted ‘Poppies’.